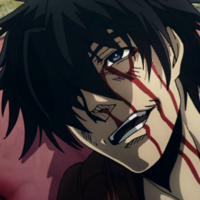 I’ve been eagerly waiting to see what Drifters had to offer since it was first announced for the fall season. Kouta Hirano’s unique style of storytelling captivated me years ago, when I first laid my eyes on Hellsing. 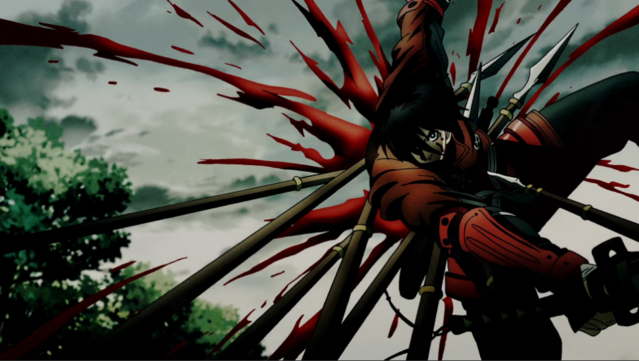 Having recently survived Neon Genesis Evangelion, I was drawn to the heavy religious and historical themes forming the backbone of the Hellsing manga, but the part that immediately reached out and grabbed me was its celebration of violence. Where the success of most action series resides in maintaining strong emotional themes evoked through physical conflict between developed characters, Hirano’s sadistic displays of bloodshed presented a cast of characters who not only revel in combat, but elevate it to performance art. 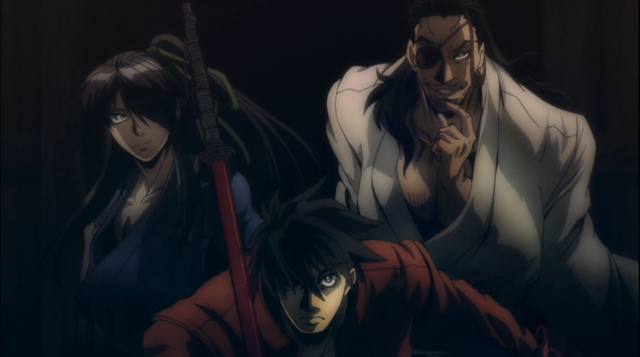 Now two episodes into the season, the characters of Drifters are already showing the same dramatic flair. There is a sense of grand theatrics around conflict any conflict in Hirano’s works. Characters bring pro-wrestler-esque dramatic flair into conflict to rival even Jojo’s Bizarre Adventure in panache. Sensational posing, theatric lighting, and rehearsed lines rapidly overshadow the plot that brings two characters into conflict. Each character also has their own sense of style, signatures that distinguish their flavor of violence from others. Hellsing presented us with a world of living nightmares in which each faction is represented by its own variety of psychopath. 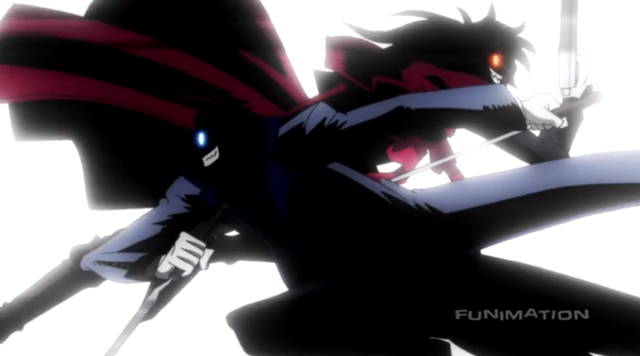 Among these monsters in human flesh, Alucard is unquestionably the king. There is rarely any sense that Alucard may have a chance of losing a fight and, as such, it isn’t enough for him to simply kill his enemies. Alucard must orchestrate some sort of uniquely terrible fate for anyone who dares oppose him. Fancying himself a man become monster, Alucard believed that only a man may slay him and so acted out the role of a beast. He becomes the stuff of nightmares, growing infinite maws to slowly consume his victims, drinking their blood, and consuming their soul. In a story so heavily laden with religious imagery, many of Alucard’s elaborate executions take on the visage of a twisted spiritual trials, attempting to pry horrified screams out of even the most fanatic of his enemies. In this way, Millennium represented an ideal opponent for him to sink his fangs into, fielding an army of soldiers who sought a glorious death in battle. One of the rare occasions the smile left Alucard’s face during a fight was when an enemy committed suicide and cut short his fun. The outcome is a foregone conclusion, but everything before the end can still be fun. Where Alucard brings an almost chthonic horror to bear in his artistic disposal of enemies, Shimazu has more mundane charms accommodated by the series visual direction. Described by Nobunaga as a human bullet, he only knows to charge forward toward his enemies. 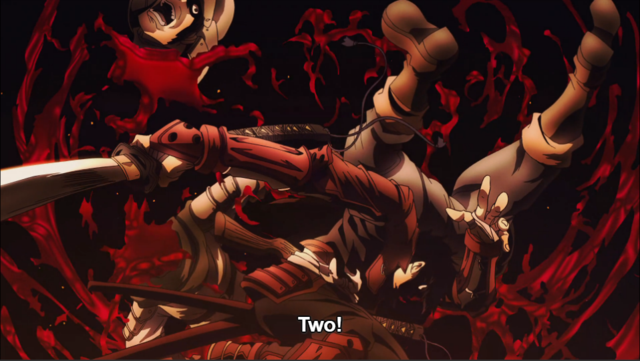 Drifters animation noticeably slows after Shimazu delivers a mortal blow, presenting us with a tableau of death, body parts gentling tumbling in the air alongside a sprays of blood. This doesn’t come from any intentional artistry or creative impulse, but as an emergent property of his martial prowess. 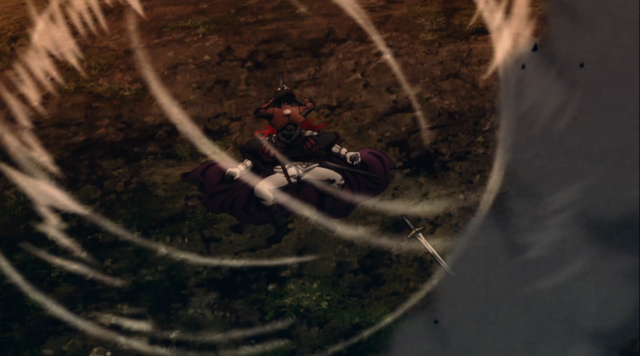 Like a feudal lord admiring the sharpness of a blade tested on the neck of a condemned man, we can appreciate the Shimazu’s raw power by the presentation of the effects left by his attacks. Shimazu isn’t entirely without a sense of Alucardian theatrics, however. 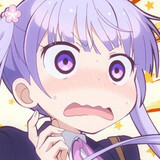 A certain amount of maliciousness about Hirano’s characters is the rule rather than the exception. Shimazu comes off as confident in his prowess to the point of arrogance and his lack of any sense of self-preservation means there are few obstacles halting his indulging in malicious whimsey. Through Shimazu’s acts of cruelty we are able to see a sense of personal justice which manifests in him taking pains to bring his opponent's face to face with their moral inferiority just before their mortal end. In the battle of Sekigahara, we see this in his willingness to literally commit suicide by leaping onto his enemies spears simply to gain a clean shot at their commander. As a man who leads from the front, Shimazu clearly believed his opponent to be a coward for hiding behind his men rather than facing him in a duel. Run through several times over, Shimazu was rapturous in the moment he revealed how fruitless cowardice could be against a single individual. Later, when disposing of soldiers chasing down two helpless boys, Shimazu was able to dispatch each of them in a single attack but, perhaps intentionally, ended up locking swords with his final opponent. 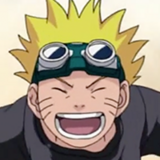 In obvious disdain for his enemies deafness toward the boy’s cries of mercy, he sneeringly taunted the soldier, stating was going to kill him if he couldn’t speak Japanese as he slowly pressed through his opponent's guard. His face was a hollow-eyed mask but his tone left no question that he was drawing out the moment for his own enjoyment, maximizing his enemies fear before their sword finally shattered. Most prominent of these theatrics is Shimazu’s final battle of episode 2. Having already made it clear that killing noncombatants is something he doesn’t approve of, seeing the enemy leader order the slaughter of some villagers meant Shimazu had to teach him a lesson before sending him to his maker. It’s apparent the fight would not have lasted very long, but Shimazu takes pains to subdue (and torture) his opponent without killing him. Optimistically, telling the villagers to finish him off could be considered an altruistic gesture, allowing them to take revenge for their loved ones as indicated by Shimazu himself. 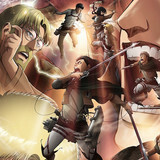 It could even be thought of as a form of empowerment, allowing them to take back their agency against their oppressors. 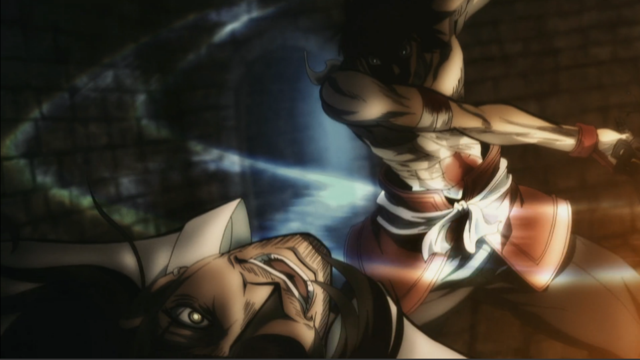 Nobunaga and Yoichi’s responses shows that the irony of being killed by the very people who he taunted for being helpless moments before was lost to no one. 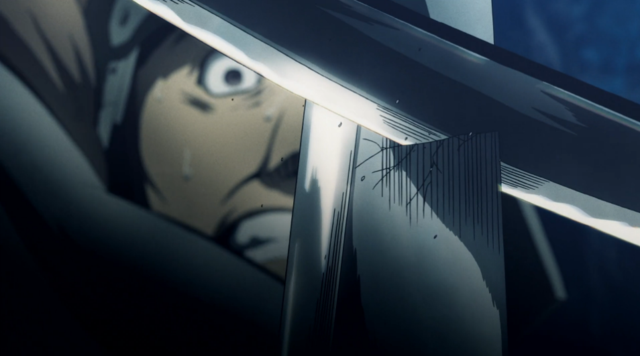 Not just death, but also destruction is an artistic medium for Hirano. The greatest sakuga moment for episode 2 didn’t occur during a fight or animate a fountain of blood, but a field of burning grain. 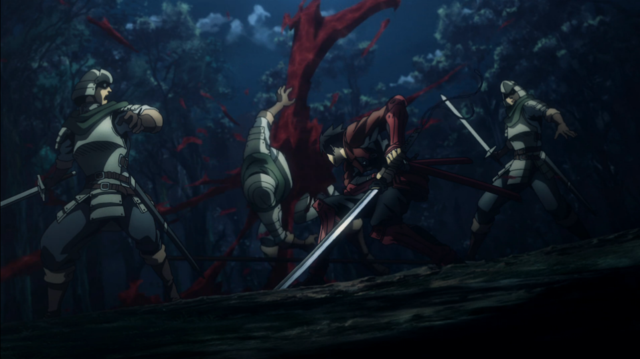 In a show of cruel strategic savvy, Nobunaga sets fire to the enemies source of food to force a conflict between the elves and the black king, ostensibly starting what may be the central conflict in Drifters. Spurred by the wind, the orange blaze rushing across the field is the most beautifully animated shot yet. He rationalizes his actions quite well, explaining how taking away resources from a subjugated people gives them no choice but to fight. But then the camera focuses on his smiling face, illuminated by the blaze. The visual attention to the fire allows us to see the beauty as Nobunaga. He comments on how the flames are still just as beautiful. 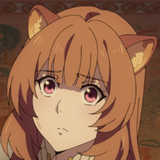 Our protagonists portion of the latest episode closes with the three of them regarding the villagers. Shimazu appears resolute, Yoichi ever-mysterious, and Nobunaga wearing a calculating grin. None of them know anything of the world they find themselves in, they've involved themselves in a conflict that had nothing to do with them, and they know there will be consequences. They appear eager. This places the Drifters in familiar territory for Hirano. Fight first for pleasure, then find your reasons later.